Aircraft manufacturers are driven by the need to design the most lightweight and fuel-efficient aircraft possible while reducing overall manufacturing costs. PFW Aerospace AG, a world market leader in aerospace tubing systems, and Victrex developed and qualified a novel VICTREX® PEEK polymer-based pipe system for the cargo drainage system on the Airbus A350 XWB. 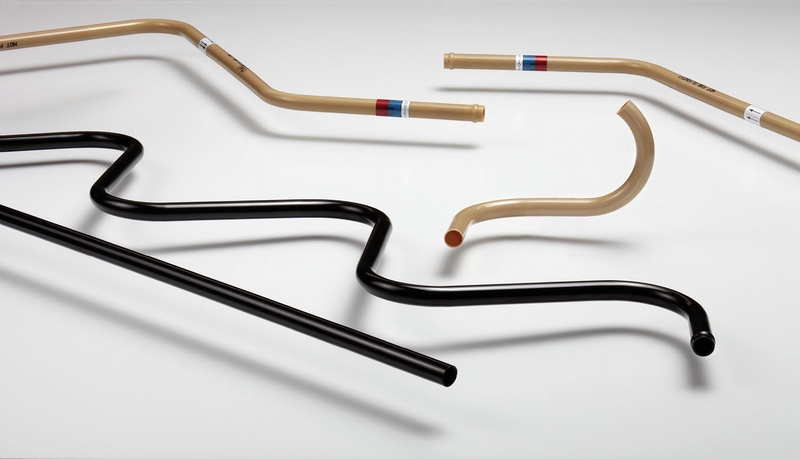 Due to the use of lightweight, thin-wall VICTREX Pipes™, the innovative pipe system is 33% lighter and is the first viable alternative to metal tubing introduced to the aerospace market. Victrex will showcase the Airbus qualified VICTREX Pipes along with other solutions to replace metals and reduce weight in the design of commercial aircraft in booth #107 at the upcoming SAMPE Show in Baltimore, Maryland on May 21 to 24, 2012. PFW’s cargo drainage system consisted previously of metal tubing and connectors for draining condensed water from the cargo hold. The new VICTREX PEEK system includes pipe and fittings made of a polymer material solution. A typical straight 1 in. (2.54 cm) PEEK pipe with an outer diameter (OD) of 1 in. (2.54 cm) and 0.039 in. (0.099 cm) wall thickness weighs only 0.067 lb/ft (0.997 kg/m) without fittings, offering a weight reduction of up to 60% compared to an equivalent stainless steel straight pipe. Because they are lightweight, durable, exceptionally strong, chemically resistant, and inherently flame retardant, VICTREX PEEK polymers have been widely used in the aerospace industry for years.